Wildness beats in the heart of California’s urban areas. In Los Angeles, residents are rallying to build one of the largest wildlife crossings in the world because of the plight of one lonely mountain lion named P-22. Porpoises cavort in San Francisco Bay again because of a grassroots effort to clean up a waterway that was once a toxic mess. And on the Facebook campus in Silicon Valley, Mark Zuckerberg and his staff have provided a home for an endearing family of wild gray foxes. Through actions as sweeping as citizen science initiatives and as instantaneous as social media posts, a movement of diverse individuals and communities is taking action to recast wildlife as an integral part of our everyday lives. 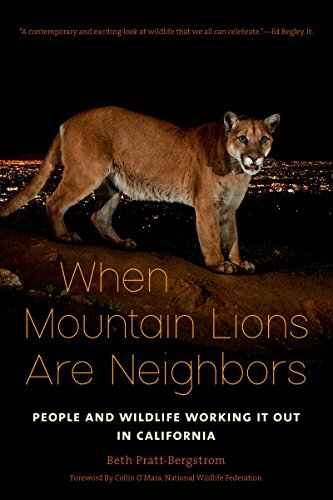 When Mountain Lions Are Neighbors explores this evolving dynamic between humans and animals, including remarkable stories like the journey of the wolf OR-7 and how Californians are welcoming wolves back to the state after a ninety-year absence, how park staff and millions of visitors rallied to keep Yosemite’s famed bears wild, and many more tales from across the state. 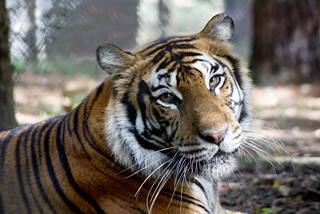 Written by Beth Pratt-Bergstrom of the National Wildlife Federation, these inspiring stories celebrate a new paradigm for wildlife conservation: coexistence.